RAJAMAHENDRAVARAM: Rajamahendravaram, cultural capital of the State, is known for its old traditions, culture and practices. The historical town, named after Raja Raja Narendra nearly a thousand years ago, was known as Rajamahendravaram, which the British found it difficult to pronounce and changed it to Rajahmundry. The State government in October 2015 issued a G.O. No. 1017 renaming ‘Rajahmundry’ city as ‘Rajamahendravaram’. 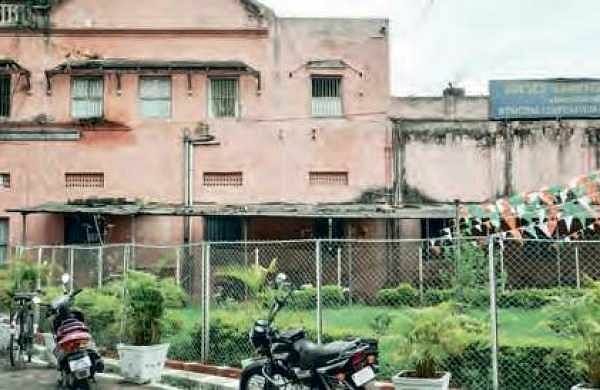 Now, the Rajamahendravaram Municipal Corporation (RMC) is taking steps to restore the past glory of Rajamahendravaram and develop it as a great tourist hub within an year. The civic body has prepared estimates with an outlay of `40 crore to protect the cultural heritage of the city. It is planning to develop the old municipal corporation building, which was constructed during the British period, into a museum. Kambala Cheruvu and AB Nageswara Rao parks would be developed to attract visitors. According to available information, Kotipalli area, which was visited by Mahatma Gandhi during Quit India movement and Devi Chowk area, which was earlier called as Lantern Street, as lanterns were used to decorate the street to welcome Vijayanagara kings, would also be developed into tourist spots. The RMC is also planning to develop Godavari bund area and instal a statue of Kandukuri Veeresalingam in the city. Havelock Bridge: The construction of the bridge commenced on November 11, 1897 and opened for traffic on August 30, 1900. The Bridge was named after Sir Arthur Elibank Havelock, the then Governor of Madras. Having served its full life span of 100 years, it was decommissioned in 1997. One can get the best view of this bridge during the evenings from Pushkar Ghat. Watching the sunset over the bridge during the evenings is simply a mesmerising experience. Kotilingeswara Temple: According to the historians, the temple was constructed between the 10th and 11th centuries. There is a ferry point here, from where one can get a country boat to travel to the small riverine islands. Kandukuri Veeresalingam Town Hall: It is a cultural centre of yesteryears built by the loving son of Rajamahendravaram, Kandukuri Veeresalingam Pantulu. He was the great social reformer, who fought for education for women and remarriage of widows. He was considered the father of renaissance in Andhra. He wrote the first Telugu novel Rajasekhara Charitam. The tourists can visit the house where Veeresalingam lived in, the place where the first widow marriage took place and also the printing press used by him, in the city. Dowleswaram Barrage: Dowleswaram is the village at which Godavari river splits into two streams or distributaries, ‘Gautami’ on left and ‘Vasistha’ on the right. An irrigation engineer, Sir Arthur Cotton constructed the barrage across this river. The total height of the masonry structure was 15 feet. A museum in the memory of Sir Arthur Cotton was constructed here. It narrates the stories behind this barrage and it is the only civil engineering museum in the State. Other places to visit: ISKCON temple, Damerla Rama Rao Art Gallery, Chitrangi Palace and Rallabandi Subbarao Museum. Rajamahendravaram is well connected by road with all major cities in Andhra Pradesh. Rajamahendravaram is a beautiful city located on the banks of the mighty Godavari river. Rajaraja Narendra, the Eastern Chalukya king built this city in 1022 AD. ‘Adikavi’ Nannaya, who belongs to this region, is held in high regard as the person who revived the Telugu language.